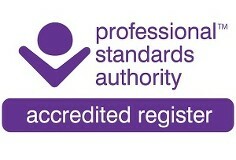 Alliance Of Private Sector Practitioners - What Is ISO 9001? What is the meaning of ISO 9001? ISO 9001 is the internationally recognised standard for Quality Management Systems (QMS). It is the most widely used QMS standard in the world, with over 1.1 million certificates issued to organisations in 178 countries. A quality management system (QMS) is a collection of business processes focused on achieving quality policy and quality objectives to meet customer requirements. It is expressed as the organisational structure, policies, procedures, processes and resources needed to implement quality management. ISO 9001 is a quality management system that can be integrated into any business. It is focused on ensuring the business delivers a consistent level of quality to its customers by having well defined and regularly reviewed processes and procedures.